The Battle of Zama—fought in 202 BC near Zama (Tunisia)—marked the end of the Second Punic War. A Roman army led by Publius Cornelius Scipio Africanus (Scipio), with crucial support from Numidian leader Masinissa, defeated the Carthaginian army led by Hannibal. After defeating Carthaginian and Numidian armies at the battles of Utica and the Great Plains, Scipio imposed peace terms on the Carthaginians, who had no choice but to accept them. At the same time they recalled their general Hannibal's army from Italy. Confident in Hannibal's forces, the Carthaginians broke the armistice with Rome. Scipio and Hannibal confronted each other near Zama Regia. Hannibal had 36,000 infantry to Scipio's 29,000. One-third of Hannibal's army were citizen levies and the Romans had 6,100 cavalry to Carthage's 4,000, as most of the Numidian cavalry that Hannibal had employed with great success in Italy had defected to the Romans. Hannibal also employed 80 war elephants. The elephants opened the battle by charging the main Roman army. Scipio's soldiers avoided the elephants by opening their ranks and drove them off with missiles. The Roman and Numidian cavalry subsequently defeated the Carthaginian cavalry and chased them from the battlefield. Hannibal's first line of mercenaries attacked Scipio's infantry and were defeated. The second line of citizen levies and the mercenaries' remnants assaulted and inflicted heavy losses on the Roman first line. The Roman second line joined the struggle and pushed back the Carthaginian assault. Hannibal's third line of veterans, reinforced by the citizen levies and mercenaries, faced off against the Roman army, which had been redeployed into a single line. The combat was fierce and evenly matched. Finally, Scipio's cavalry returned to the battle and attacked Hannibal's army in the rear, routing and destroying it. 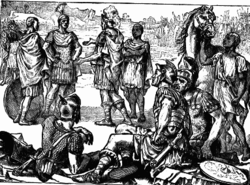 The Carthaginians lost 20,000–25,000 killed and 8,500–20,000 captured. Scipio lost 4,000–5,000 men, 1,500–2,500 Romans and 2,500 Numidians, killed. Defeated on their home ground, the Carthaginian ruling elite sued for peace and accepted humiliating terms, ending the 17-year war. Scipio continued to reinforce his troops with local defectors. :271 He landed at Utica and defeated the Carthaginian army at the Battle of the Great Plains in 203 BC. The panicked Carthaginians felt that they had no alternative but to offer peace to Scipio and him, having the authority to do so, granted peace on generous terms. Under the treaty, Carthage could keep its African territory but would lose its overseas empire, by that time a fait-accompli. 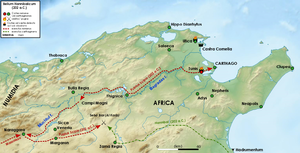 Masinissa was to be allowed to expand Numidia into parts of Africa. Also, Carthage was to reduce its fleet and pay a war indemnity. The Roman Senate ratified the treaty. The Carthaginian senate recalled Hannibal, who was still in Italy (although confined to the south of the peninsula) when Scipio landed in Africa, in 203 BC. Meanwhile, the Carthaginians breached the armistice agreement by capturing a stranded Roman fleet in the Gulf of Tunis and stripping it of supplies. The Carthaginians no longer believed a treaty advantageous, and rebuffed it under much Roman protest. Roman and Carthaginian troop deployment. Hannibal led an army composed of mercenaries, local citizens and veterans and Numidian cavalry from his Italian campaigns. Scipio led a pre-Marian Roman army quincunx, along with a body of Numidian cavalry. The battle took place at Zama Regia, near Siliana 130 km southwest of Tunis. Hannibal was first to march and reach the plains of Zama Regia, which were suitable for cavalry maneuvering. This also gave an edge in turn to Scipio, who relied greatly on his Roman heavy cavalry and Numidian light cavalry. Hannibal deployed his troops facing northwest, while Scipio deployed his troops in front of the Carthaginian army facing southeast. 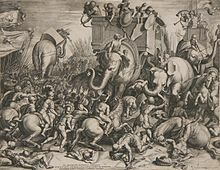 Hannibal's army consisted of 36,000 infantry, 4,000 cavalry and 80 war elephants, while Scipio had a total of 29,000 infantry and 6,100 cavalry. Putting his cavalry on the flanks, with the inexperienced Carthaginian cavalry on the right and the Numidians on the left, Hannibal aligned the rest of his troops in three straight lines behind his elephants. The first line consisted of mixed infantry of mercenaries from Gaul, Liguria and the Balearic Islands. In his second line he placed the Carthaginian and Libyan citizen levies, while his veterans from Italy, including mercenaries from Gaul and Hispania, were placed in the third line. Hannibal intentionally held back his third infantry line, in order to thwart Scipio's tendency to pin the Carthaginian center and envelop his opponent's lines, as he had done at the Battle of Ilipa. Livy states that Hannibal deployed 4,000 Macedonians in the second line. Their presence is widely discounted as Roman propaganda, although T. Dorey suggests that there may be a grain of truth here if the Carthaginians recruited a trivial and unofficial number of mercenaries from Macedonia. Scipio deployed his army in three lines: the first was composed of the hastati, the second of principes and the third of the triarii. The stronger right wing was composed of the Numidian cavalry and commanded by Masinissa, while the left was composed of Italian cavalry under the command of Laelius. The greatest concern for Scipio was the elephants. He came up with an ingenious plan to deal with them. Meeting of Hannibal and Scipio at Zama (Charlotte Mary Yonge), 1880. Scipio knew that elephants could be ordered to charge forward, but they could only continue their charge in a straight line. He believed that if he opened gaps in his troops, the elephants would simply pass between them without harming any of his soldiers. He created lanes between the regiments across the depth of his forces and hid them with maniples of skirmishers. The plan was that when the elephants charged, these lanes would open, allowing them to pass through the legionaries' ranks and be dealt with at the rear of the army. Hannibal and the Carthaginians had relied on cavalry superiority in previous battles such as Cannae, but Scipio, recognizing their importance, held the cavalry advantage at Zama. This was due in part to his raising of a new cavalry regiment in Sicily and careful courting of Masinissa as an ally. Hannibal most likely believed that the combination of the war elephants and the depth of the first two lines would weaken and disorganize the Roman advance. This would have allowed him to complete a victory with his reserves in the third line and overlap Scipio's lines. Though this formation was well-conceived, it failed to produce a Carthaginian victory. The two men are said to have met face-to-face before the battle. Hannibal offered a treaty that would give up any claims to overseas territories, only to ensure the sovereignty of Carthage. Scipio refused, saying that it was either unconditional surrender or battle. At the outset of the battle, Hannibal unleashed his elephants and skirmishers against the Roman troops in order to break the cohesion of their lines and exploit the breaches that could be opened. The attack was met by Roman skirmishers. In addition, Scipio ordered the cavalry to blow loud horns to frighten the beasts, which partly succeeded, and several rampaging elephants turned towards the Carthaginian left wing and disordered it completely. Seizing this opportunity, Masinissa led his Numidian cavalry and charged at the Carthaginian left wing, which was also composed of Numidian cavalry, and was unknowingly lured off the field. Meanwhile, the rest of the elephants were carefully lured through the lanes and funneled to the rear of the Roman army, where they were dealt with. Scipio's plan to neutralize the threat of the elephants had worked; his troops then fell back into traditional Roman battle formation. Laelius, the commander of the Roman left wing, charged against the Carthaginian right. The Carthaginian cavalry, acting on the instructions of Hannibal, allowed the Roman cavalry to chase them in order to lure them away from the battlefield so that they wouldn't attack the Carthaginian armies in the rear. Scipio now marched with his center towards the Carthaginian center, which was under the direct command of Hannibal. 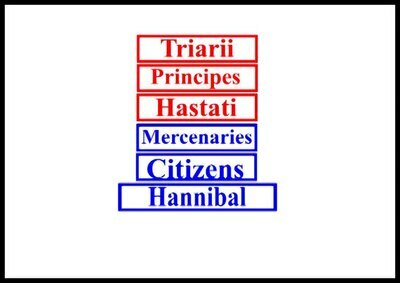 Hannibal moved forward with only two lines; the third line of veterans was kept in reserve. After a close contest, his first line was pushed back by the Roman hastati. Hannibal ordered his second line not to allow the first line in their ranks. The bulk of them managed to escape and position themselves on the wings of the second line on Hannibal's instructions. Hannibal now charged with his second line. A furious struggle ensued and the Roman hastati were pushed back with heavy losses. Scipio reinforced the hastati with the second-line principes. 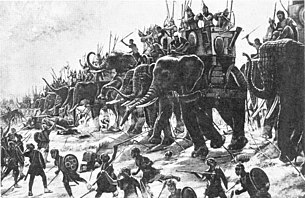 Hannibal begins the battle with his war elephants charging at Roman front. Scipio orders his cavalry to blow loud horns to terrify the charging beasts. The panicked elephants turn on the Carthaginian left wing and rampage through it. Roman right wing charges and routs the Carthaginian cavalry, followed by the Roman left wing routing the Carthaginian right wing. The remaining elephants are lured through the lanes and killed. Carthaginian cavalry routed off the field. Scipio attacks Hannibal's first and second lines of infantry and routs both. Scipio and Hannibal rearrange their troops into a single line and the battle remains a stalemate until the Roman cavalry returns and attacks Hannibal's infantry from the rear. Animation of the battle. Click to play. With this reinforcement the Roman front renewed their attack and defeated Hannibal's second line. Again, it was not allowed to merge with the third line and was forced to the wings, along with the first line. Carthaginian cavalry carried out Hannibal's instructions well and there was no sign of Roman cavalry on the battlefield. Once the Carthaginian cavalry was far enough away, they turned and attacked the Roman cavalry but were eventually routed. At this point there was a pause in the battle as both sides redeployed their troops. Scipio played for time as he redeployed his forces in a single line with the hastati in the middle, the principes in the inner wings and the triarii on the outer wings. Hannibal waited for Scipio to attack. The resulting clash was fierce and bloody, with neither side achieving superiority. Scipio was able to rally his men. The battle finally turned in the Romans' favor when the Roman cavalry returned to the battlefield and attacked the Carthaginian line from behind. The Carthaginian infantry was encircled and annihilated. Thousands of Carthaginians, including Hannibal, managed to escape the slaughter. Hannibal experienced a major defeat that put an end to all resistance on the part of Carthage. In total, as many as 20,000 of Hannibal's troops were killed at Zama, while 20,000 more were taken prisoner. The Romans, on the other hand, suffered as few as 2,500 dead. Soon after Scipio's victory at Zama the war ended, with the Carthaginian senate suing for peace. Unlike the treaty that ended the First Punic War, the terms Carthage acceded to were so punishing that it was never able to challenge Rome for supremacy of the Mediterranean again. The treaty bankrupted Carthage and destroyed any chance of its being a military power in the future, although its economic recovery was quick. One provision of the treaty was that the Carthaginians were not allowed to make war without Roman consent. This allowed the Romans to establish a casus belli for the Third Punic War when the Carthaginians defended themselves from Numidian encroachments in which the Romans did not intervene. When Rome waged war again on Carthage about 50 years later, the Carthaginians had little power and could not defeat the by-then very aged Masinissa in Africa. They organized a defense of their home city which, after an extended siege, was captured and completely destroyed in 146 BC. Only 55,000 survived. ^ a b Bagnall, Nigel, The Punic Wars . ^ a b Liddell Hart, Basil Henry, Scipio . ^ a b c Delbrück, Hans, History of the Art of War: Warfare in antiquity, p. 393, ISBN 0-8032-9199-X . ^ Frontinus, Sextus Julius (1925), Bennet, Charles E (ed. ), Stratagemata, Classical library, Loeb, p. 114, ISBN 0-674-99192-3, ...novissimos Italicos constituit, quorum et timebat fidem et segnitiam verebatur, quoniam plerosque eorum ab Italia invitos extraxerat . ^ Dorey, TA (1957), "Macedonian Troops at the Battle of Zama", The American Journal of Philology, 78 (2), pp. 185–7 . ^ a b c Africanus, Scipio; Hart, BH Liddell; Grant, Michael, Greater Than Napoleon, p. 263, ISBN 0-306-81363-7 . ^ Scullard, Howard Hayes (1930), Scipio Africanus in the second Punic war, CUP Publisher Archive . ^ Goldsworth, Adrian (2006), The Fall of Carthage, The Punic Wars 265–146 BC, Phoenix, p. 304 . Hans Delbruck (1990). Warfare in antiquity. University of Nebraska Press. ISBN 978-0-8032-9199-7. Theodore Ayrault Dodge (2004-03-30). Hannibal: A History of the Art of War Among the Carthaginians and Romans Down to the Battle of Pydna, 168 B.C., with a Detailed Account of the Second Punic War. Da Capo Press. ISBN 978-0-306-81362-7. Sir Basil Henry Liddell Hart (1926). Scipio Africanus: Greater Than Napoleon. Greenhill Press. ISBN 978-1-85367-132-6. Paul K. Davis (2001-06-14). 100 Decisive Battles: From Ancient Times to the Present. Oxford University Press, USA. p. 47. ISBN 978-0-19-514366-9. Wikimedia Commons has media related to Battle of Zama. The Second Punic War, also referred to as The Hannibalic War and by the Romans the War Against Hannibal, was the second of three wars between Carthage and the Roman Republic, with the participation of Greek polities and Numidian and Iberian forces on both sides. It was one of the deadliest human conflicts of ancient times. Fought across the entire Western Mediterranean region for 17 years and regarded by ancient historians as the greatest war in history, it was waged with unparalleled resources, skill, and hatred. It saw hundreds of thousands killed, some of the most lethal battles in military history, the destruction of cities, and massacres and enslavements of civilian populations and prisoners of war by both sides. Masinissa, or Masensen, —also spelled Massinissa and Massena—was the first King of Numidia. The Battle of Agrigentum was the first pitched battle of the First Punic War and the first large-scale military confrontation between Carthage and the Roman Republic. The battle was fought after a long siege which started in 262 BC and resulted both in a Roman victory and the beginning of Roman control of Sicily. Hasdrubal Barca, a latinization of ʿAzrubaʿal son of Hamilcar Barca, was a Carthaginian general in the Second Punic War. He was the brother of Hannibal and Mago Barca. 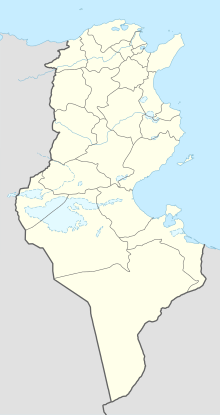 The Numidians were the Berber population of Numidia and in a smaller part of Tunisia. 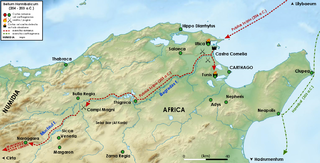 The Numidians were one of the earliest Berber tribes to trade with the settlers of Carthage. As Carthage grew, the relationship with the Numidians blossomed. Carthage's military used the Numidian cavalry as mercenaries. 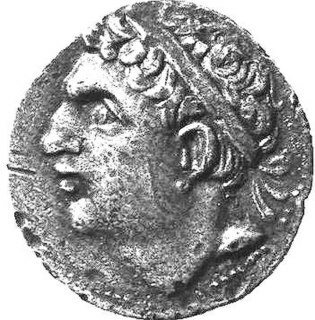 Numidia provided some of the highest quality cavalry of the Second Punic War, and the Numidian cavalry played a key role in a number of battles, both early on in support of Hannibal and later in the war after switching allegiance to the Roman Republic. The Battle of Ilipa was an engagement considered by many as Scipio Africanus’s most brilliant victory in his military career during the Second Punic War in 206 BC. The Battle of the Upper Baetis was a double battle, comprising the battles of Castulo and Ilorca, fought in 211 BC during the Second Punic War between a Carthaginian force led by Hasdrubal Barca and a Roman force led by Publius Cornelius Scipio and his brother Gnaeus. The immediate result was a Carthaginian victory in which both Roman brothers were killed. 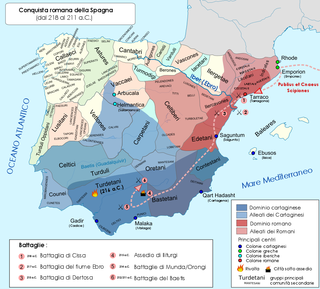 Before this defeat, the brothers had spent seven years campaigning in Hispania, which had limited the resources available to Hannibal, who was simultaneously fighting the Romans in Italy. The Battle of the Great Plains, also known as the Battle of the Bagrades, was a battle fought between Scipio Africanus of Rome and a combined Carthaginian and Numidian army late in the Second Punic War. It occurred on the plains south of Bulla Regia around the upper Bagradas River. The attack was designed as diversionary tactic by Rome to disrupt Hannibal's attack on Italy. By defeating the Carthaginians, Scipio Africanus caused Hannibal to leave Italy and return to Africa, where he was later defeated at Zama. The Battle of Insubria in 203 BC was the culmination of a major war, carried out by the Carthaginian commander Mago, son of Hamilcar Barca, at the end of the Second Punic war between Rome and Carthage in what is now northwestern Italy. Mago had landed at Genoa, Liguria, two years before, in an effort to keep the Romans busy to the North and thus hamper indirectly their plans to invade Carthage’s hinterland in Africa. He was quite successful in reigniting the unrest among various peoples against the Roman dominance. Rome was forced to concentrate large forces against him which finally resulted in a battle fought in the land of the Insubres (Lombardy). Mago suffered defeat and had to retreat. The strategy to divert the enemy’s forces failed as the Roman general Publius Cornelius Scipio laid waste to Africa and wiped out the Carthaginian armies that were sent to destroy the invader. To counter Scipio the Carthaginian government recalled Mago from Italy. However, the remnants of the Carthaginian forces in Cisalpine Gaul continued to harass the Romans for several years after the end of the war. The Battle of the Rhône Crossing took place during the Second Punic War. The Carthaginian army under Hannibal Barca, while marching to Italy in the autumn of 218 BC, fought an army of the gallic Volcae tribe on the east bank of the Rhone River possibly near Aurasio. The pro-Roman Volcae, acting on behalf of a Roman army camped on the east bank near Massalia, intended to prevent the Carthaginians from crossing and invading Italy. Devising a plan to circumvent the Volcae, the Carthaginians, before crossing the river to attack the Gauls, had sent a detachment upriver under Hanno, son of Bomilcar, to cross at a different point and take position behind the Gauls. Hannibal led the main army across after Hanno sent smoke signals saying that the ambush was in place. As the Gauls massed to oppose Hannibal’s force, Hanno attacked them from behind and routed their army. Although the battle was not fought against a Roman army, the result of the battle had a profound effect on the war. Had the Carthaginians been prevented from crossing the Rhone, the 218 invasion of Italy might not have taken place. This is the first major battle that Hannibal fought outside the Iberian Peninsula. Publius Cornelius Scipio Africanus, also known as Scipio Africanus-Major, Scipio Africanus the Elder and Scipio the Great, was a Roman general and later consul who is often regarded as one of the greatest military commanders and strategists of all time. His main achievements were during the Second Punic War where he is best known for defeating Hannibal at the final battle of Zama in 202 BC, one of the feats that earned him the agnomen Africanus.